People all learn in different ways, right? I was the kid in school who pretty much always learned new concepts quickly. I am the person the public school system is designed for. My kids are not. They’re not slow learners they just don’t learn that way. 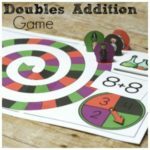 Earlier this year I found Times Tales, which is a program that helps kids memorize their multiplication facts by attaching a story to them. It’s an incredible program for kids like Baloo who just couldn’t memorize the fact. Well now Logi-Bear is having some difficulties with letter sounds. He has most of them down but every now and then we encounter one he just has trouble with. So I thought, what if we attached a story to each of them? We’ve done a few and he really likes the simple stories. 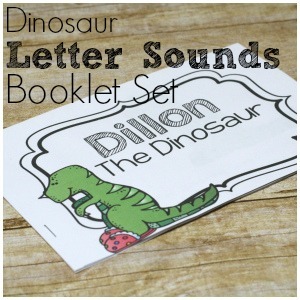 I thought a Dinosaur Letter Sounds Booklet would be the perfect end to dinosaur week. 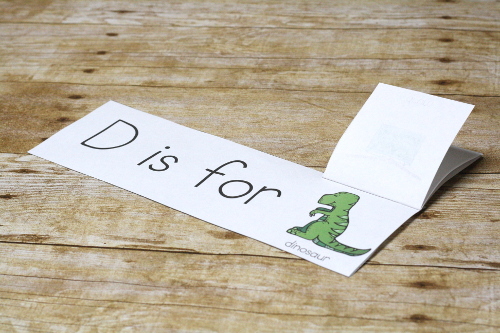 What’s in the Dinosaur Letter Sounds Booklet Set? 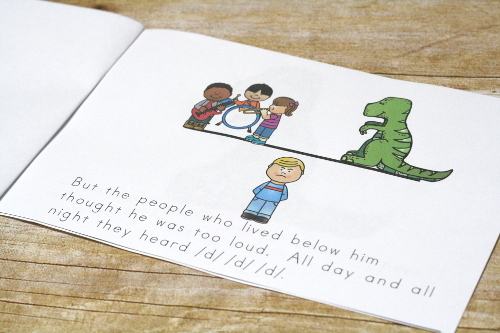 The booklet comes with a short story about Dillon the Dinosaur. The thing about this book is that you really have to sell it. You can to read it emphatically or the effect just doesn’t come through (trust me on this one! It’s fun anyway). 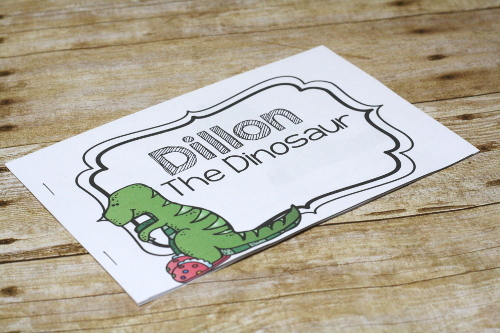 So Dillon the Dinosaur is a dancer, but he’s a huge T-Rex. So when he dances, it’s loud! It sounds like /d/ /d/ /d/ (That’s the phonetic sound of d). The people who live below Dillon are not pleased. So Dillon buys some slippers and now he dances quietly. The story if very simple. It’s actually only 3 pages long. The images are simple. But the stories are silly enough that they can be remembered easily. 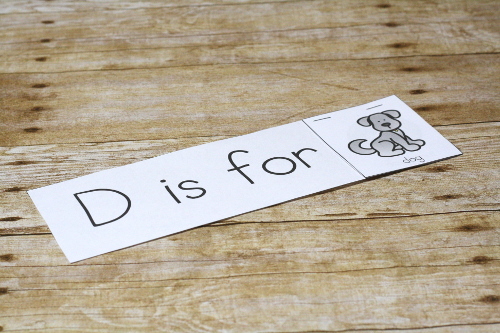 Then when you’re reviewing letter sounds, if they get stuck they have a cute story to jog their memory. I like to supplement our stories with a bit more. 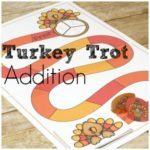 There are a few more pages to help emphasize the letter sounds. 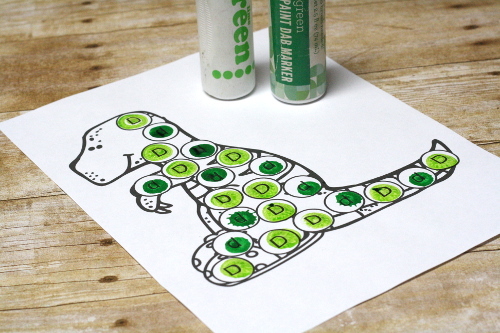 This is a dot marker sheet. My thought was to have Logi-Bear repeat /d/ every time he dotted a letter. But Logi-Bear often just does want he wants, ha! To get this download, just subscribe to the newsletter! The download link will be sent immediately.